Summer isn’t over yet! Check out these HOT new August Releases from the authors at Killer Characters! 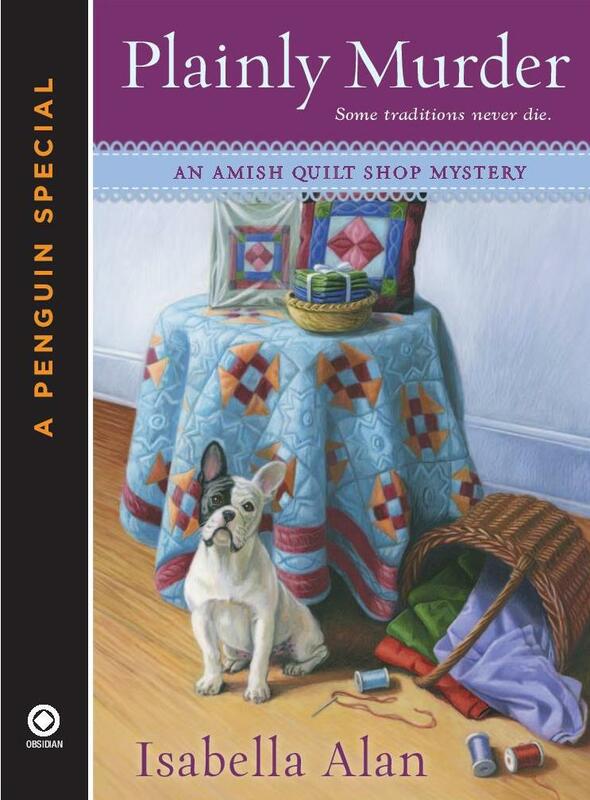 Angela Braddock has come to Rolling Brook to lend a hand at her Aunt Eleanor’s traditional Amish quilt shop. 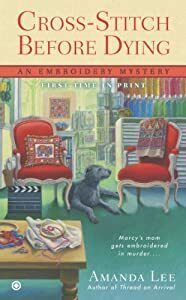 But when Eleanor’s quilting circle mourns the loss of their oldest member, Evelyn, they make a startling discovery about a tragic event in Evelyn’s past. More than a decade earlier, during a barn raising, Evelyn’s son Eric fell from the roof and died. Evelyn had always insisted that Eric was pushed, and now a clue in an old quilt convinces Angie to dig up the truth…and discover one of Rolling Brook’s darkest secrets. Marcy's mom Beverly is the costume designer for a lavish, Bollywood-style production...and she suggests Tallulah Falls as a great place to shoot part of the film. Everyone at the embroidery shop, and around town, is in a flutter that a glamorous movie production is taking place in their midst. But when the star of the film is found murdered, the police suspect Marcy’s mom, who made it no secret she did not care for the diva’s attitude regarding her wardrobe. Jaye Saylor is living her dream as the proud owner of Crystal Clear, a crystal and gemstone shop in the Red Rock area of Sedona, Arizona—a Mecca for tourists and new-age enthusiasts. And since tourists need sweets, Jaye gets to share her dream with her best friend, Sierra, who owns Cravings, a new local bakery. 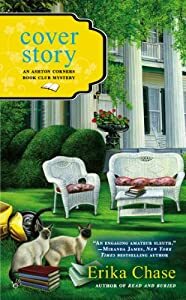 The Ashton Corners Mystery Readers and Cheese Straws Society is excited to be hosting the book launch of Molly Mathews's childhood friend, Teensy Coldicutt. What they don't know is that murder and mayhem await. First, Molly is attacked and the books are stolen. Then the publisher's body is found; then another body, and Bob Miller is the prime suspect. Throw in some counterfeit money, the FBI, and secrets from the past...and Lizzie Turner and her book club cohorts are in for an unforgettable summer! Lovely! 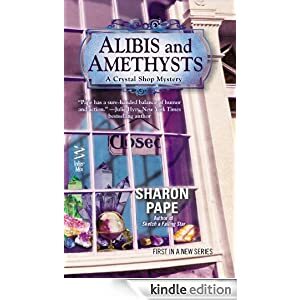 But the one I want to read the most, is the Sharon Pape book. I just love amethyst.